Learning irregular French verbs can be difficult. It not only takes memorization and practice, but also learned skills to know when to use the verbs correctly. The best way to master irregular verbs is to practice, practice and practice some more. 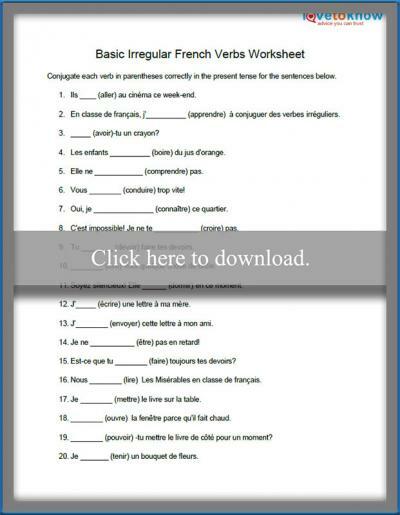 Test your skills and see if you can fill in the blanks with the correct verb form on the following worksheet. You can check yourself with the answer key on the second page of the same document. To print the worksheet, click on the image or the link, and when it opens, click on the printer icon to print. If you have any issues, this guide to working with Adobe printables will help you troubleshoot. Irregular verbs are some of the most commonly used words in a language. Consequently, it's important to commit them to memory. However, they can be tricky to memorize because they don't follow the same patterns as all the other verbs. One trick for memorizing irregular verbs is to focus on both the subject and verb. 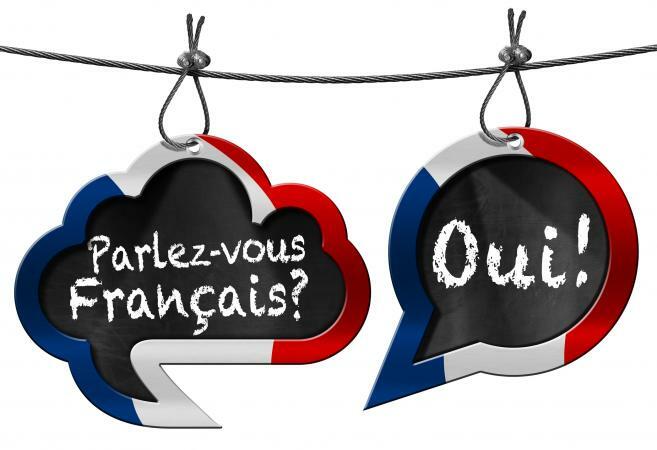 For example, instead of just memorizing "suis" as the first person present tense for the verb "to be," memorize "je suis, tu es, il est" and so on. By doing this, you make the correct verb form sound natural with its subject, and you'll start to recognize instantly when something out of place.